Gold severum cichlids belong to the Cichlidae family of fish. They are generally the shy type of cichlids. 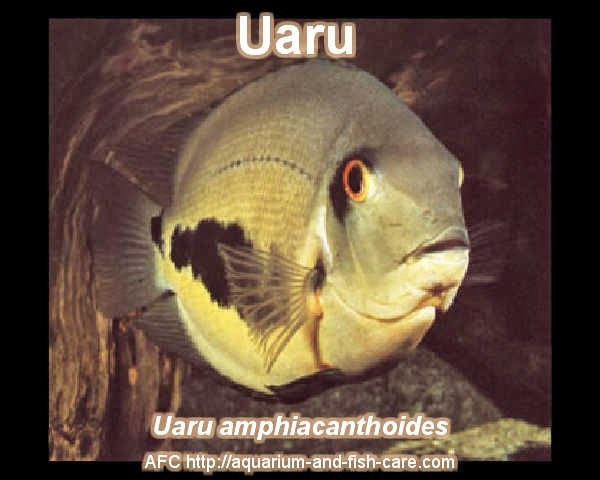 They are also one of the largest cichlids growing up to 20cm. Their bodies are shaped like a discus. Due to their size, these cichlids are best kept in aquariums that are large enough for them to be comfortable in. These cichlids also like to swim all over the aquarium so make sure that they have plenty of swimming space. Gold severum cichlids are also known as hero cichlids or banded cichlids. The latter name is due to the bands that they have on their bodies. These bands consist of around 7 to 8 stripes which are most vivid on baby cichlids. Once they reach maturity, these bands become less vivid. Male and female cichlids usually have the same color although the females appear paler in comparison to the males. In addition to that, the females also do not have the pattern on the forehead as the males. These cichlids are particularly hard to breed due to the fact they are very particular when it comes to choosing their breeding partners. But when they do spawn, these cichlids become very territorial and aggressive which makes them very protective of their brood. Gold severum cichlids are open breeders which means they'll lay their eggs on open and flat surfaces. Gold severum cichlids are omnivorous by nature which means that they'll eat both plants and creatures. But when feeding these cichlids you should stick to their natural diet which means it should contain a lot of vegetable ingredients. They would do well when fed with flake foods, pellets and live worms. When treated properly and kept healthy, the lifespan of a gold severum cichlid is said to reach over 10 years. Oscar fish are some of the most beautiful and hardy fish you can keep in an aquarium, but require special care and aquarium conditions to flourish. These fish can grow up to fourteen inches long, which makes them a handful for novice aquarium keepers -- they're definitely not starter fish. If you'd like to experience the special challenge of raising Oscar fish, then keep these tips in mind. #1 - Oscar fish only like other Oscars. Oscars are schooling fish, and they only like being with their own kind. They won't appreciate it when mixed in with different species and are known to attack other fish. Oscars would love it if they schooled with a few other of their own kind in the fish tank. Remember that these fish can grow to be pretty big, so make sure to give at least 30 gallons of swimming space for them. If you take care of your Oscars well, they can live up to fifteen years. #2 - Oscar can spawn with the best of them. There are many Oscar species out there, and some of them change colours when they're ready to mate. If you have a male and a female Oscar in the same tank, they might spawn thousands of eggs at once. If you don't want to deal with a fish tank full of Oscars, then it might be a good idea to put one Oscar in a different location until its color changes back to its original color. #3 - Oscars need specific conditions to survive. Aside from a big enough tank, the usual filters, aerators, and lighting, Oscars thrive in clean, clear water with temperatures around 28 degrees Celsius. For some reason, they also prefer sandy bottoms to gravel. They feed on carnivorous fish food -- you can check with your local pet store if they have any fish food that's specifically for Oscars. Surprisingly, Oscars can also eat food scraps such as shrimp, worms, and vegetables. Oscars only need to be fed once a day, and make sure you only give so much food that they can consume everything in three minutes. Oscars are great pets to have, and it's always a temptation to add another one to the fish tank. Remember, though, that it's best to add an Oscar that's around the same size as the Oscars already in the tank. This will make sure that they'll get along swimmingly. 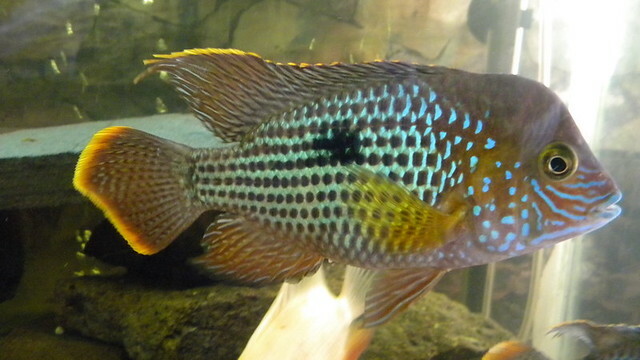 The Jack Dempsey is also a favorite among cichlid lovers. Like the convict, the Jack Dempsey can be moody, and as an adult, he can grow up to nearly a foot in length. Jack Dempsey's are dark brown but males usually have splashes or dots of bright blue or green on their sides and humps on their foreheads. Jack Dempsey's are easy to keep and need large open spaces as well as caves to hide in. They are scientifically known as the Heros severus and commonly called the green severum, or the Hero cichlid, or even the Banded cichlid. 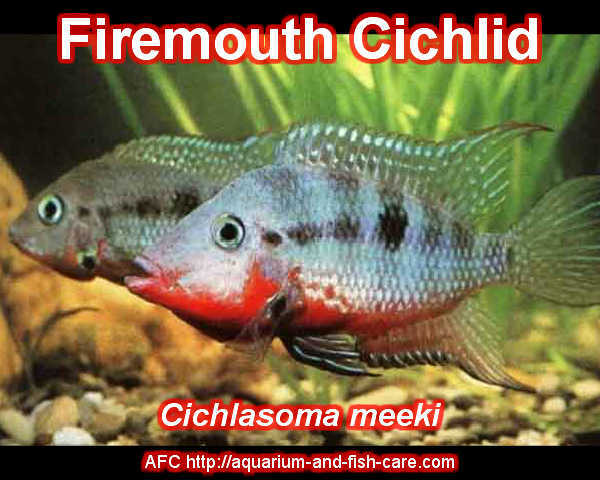 This variety belongs to the family Cichlidae of the South American cichlid. Normally they can grow as much as 8 inches in length at maturity and has a lifespan of approximately 10 years. They are endemic to South America and can thrive in a 40-gallon aquarium. 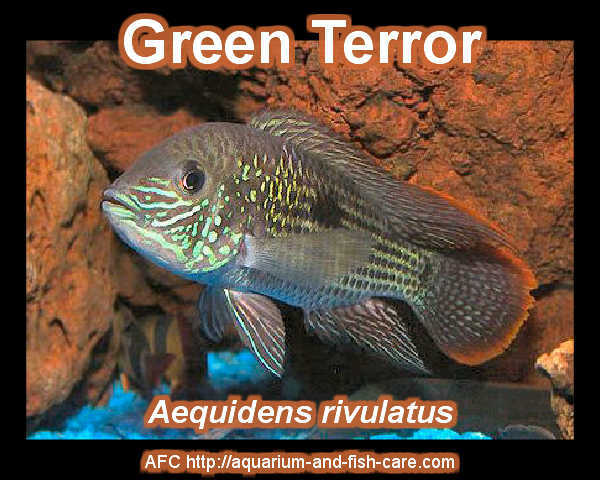 They do well together with New World Cichlids as tank mates such as the Firemouth, Green terror, Salvini, Texas, Blood Parrots and even Peicos. Severum cichlids came from the Northern American region of Brazil and appear to have a body shape similar to that of a discus. There are two color variations of these species and that includes Gold severum which was developed out of the green severum. They are originally bred from a pale yellow iridescent color without dark band original color. From the word green, green severum possess a greenish body with a good number of bands on its body. Severum's thrive well with a water temperature of 72 - 84 degrees Fahrenheit, a pH range from 5.1 - 6.5, and a hardness between 3 - 10 inches. Regularly change about 10 - 20% water change weekly or bi-weekly depending on the number of cichlids in the tank. Although they are a peaceful species, they still have the possibility of eating small fish when placed together. Furthermore, severums may be quite difficult to breed compared to the other New World Cichlids because they are hard to pair off and also they do not readily pair off with the females. Sexing female or male severums are hardly recognized merely by its appearance. But they also have features that match that of other cichlid varieties and that is they basically spawn in a particularly clean horizontal surface as well as acting very concern parents to its young. They would patiently guard and take care of their young while growing up. What is its proper diet? Severums are omnivorous, they love flake foods, bloodworms, brine shrimp, and cichlid sticks which are considered as its favorite. They also like blanched zucchini, earthworms, or marine crustaceans. However, do not feed beef heart or liver for this food is hard to digest and may cause illness. Feed the food only 2 - 5 pinches in a small amount and in small quantities a day and not at once. This way the quality of water is kept for a long period of time. By letting your fish fast for one day once a week is also advantageous to your pet. Providing severum cichlid with vitamins and supplements which are added to its food may also be beneficial. Photo: Omnitarian. Licensed under Wikimedia Commons. A native of the lakes in Costa Rica and Nicaragua the Midas cichlid or Amphilophus Citrinellus is a popular fish of many pet shops and fish owners. It is a large fish that can grow to fourteen inches in length. It is quite beautiful and comes in an array of colors. They are normally yellow, red and white or an assortment of these colors. The Midas cichlid can easily be identified by the nuchal hump which is a feature of the adult male. The female version is not quite as distinguishable. The males have larger fins as well. This fish likes lots of water. It should be placed in a large tank alone or in pairs. One Midas would be happy in a tank of 75 gallons of water. That should be the minimum amount. If the fish keeper still insists on placing it with other fish the best option would be to put fish of the same size. Any fish that looks to be inferior will surely end up in the stomach. The tank should have lots of rocks and wood. Ceramic pieces and slate will make it very comfortable. Since this is a fish that loves to dig it is not a good idea to place many plants in the tank unless they are plants that will prove difficult for the fish to move. Even if they can't move the plant around they will shred it to pieces. The Midas Cichlid is omnivorous so it should be fed on protein as well as nonprotein foods. Worms, brine shrimp, processed fish food should be used to feed this fish. Vegetables and plants should also be added to the diet. They should be fed two or three times per day. This fish has an intense breeding season. The male and female will play with each other for weeks and even months. They rub against each other until the time comes for the female to lay the eggs. The couple works together by digging towards the bottom of the tank where the female will lay the eggs. After laying them in rows the male will fertilize each of them. The male becomes very possessive and may attack the female during this period. To ensure her safety the fish keeper should put dividers in the tank. The male will stay with the eggs until the fry is able to go on their own. Both parents have a habit of eating any eggs that are not hatched. If given proper treatment the Midas cichlid can live for up to fifteen years. The water should be cleaned regularly and have the correct temperature. They produce a lot of waste so the water should be tested regularly for any contaminants and chemical imbalances that would cause them stress. The recommended temperature is between 75 and 80 degrees Fahrenheit. They are prone to Hole-in-the-head disease. The Midas cichlid is a very interesting fish. They have flourished in captivity. Scientists have been using them to help in the conduct of behavioral research. Jan Hvizdak owns Aqua-Fish.Net where you're welcome to visit a profile of the Midas cichlid. JACK DEMPSEY Cichlid - Knowing How And What to Feed? The Jack Dempsey (Rocio octofasciata) cichlid fry may be small but they will tend to sack up crushed flake food or even pulverized cichlid pellets. The first three days of their life they will only absorb the proteins from the food they sack. Even then these tiny creatures will nibble around at things possibly on some microorganisms. I would prefer the use of an established tank since the good source of microorganisms and bacteria that are covering the gravel or even bare glass bottoms are found. Most beneficial bacteria found in an established aquarium are full of vitamins and minerals unlike in new set-up tanks they are barely present or none at all. Tiny white worms visible on tank glass are not likely to be found in new tanks. However, even with established tanks, it is still essential to provide a bit of regular food after a few days but if ever the parents are still with the fry they will most likely take care of their young's for a few weeks. Parents will gladly take the food you give, chop it up and spill out tiny crumbs of it through their gills and mouth to their fry. How amazing it is to see both male and female cichlid participate in the feeding process. But if keepers want to transfer the eggs without the parent's presence, then the aquarist job would be more difficult. When feeding, be certain to crush the food to a powdery form. Be wary that for the first ten days of their life is crucial and many will possibly die. After a week or so they would be large enough to be able to consume on newly hatched Artemia brine shrimp. 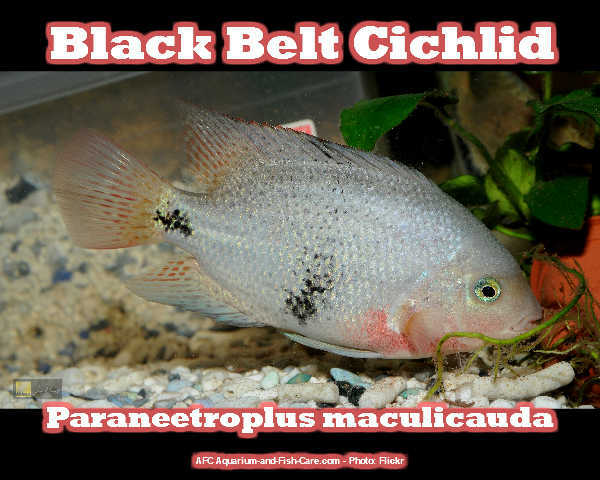 Micro worms are also an excellent option but remember not to overfeed Jack Dempsey cichlid . Feed the fry 5 times a day for the first 3 weeks, lesser than that will hinder growth or even weaken health and eventually perish. Remove any debris as soon as possible. Do not be weary to see a brood of 500 fries will end up to 200 in a matter of 4 weeks - this is the call of nature no matter how much care is bestowed on them. The appropriate size for a nursery is 5 - 10-gallon aquarium for the first month in order to keep fry close to each other during feeding time. Water conditions are tolerable meaning not critical but the conditions of an established tank are important. It must have a temperature of 72 - 82 degrees Fahrenheit and a pH level of 6.5 - 7.2 is adequate for the fry. Maintain that consistency no matter what the parameter of an established tank is. As they grow larger it is best to transfer them to a larger 20-gallon tank probably after 5 - 6 weeks. Imagine a 20-gallon tank with 150 to 200 Jack Dempsey cichlids, so I guess you have to figure out how to house the rest of them as they mature. It is also reasonable at this time to move back the parents to their original tank. As the Jack Dempsey cichlid matures larger types of food may also be fed. 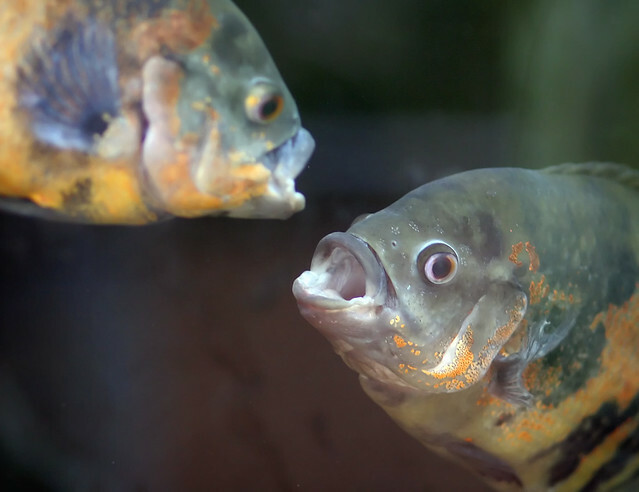 Find out more about the proper feeding of the mature cichlids. OSCAR CICHLID - Things To Know About Oscars! The Oscar Cichlid , or otherwise known as "Oscar fish", has been one of the most favorite species of cichlids considered for petting because they are fun to keep and are friendly to their owners. They could easily recognize their owners and be aware of what is happening around them. They are natives to the different rivers of South America, specifically from the waterways of Peru, Brazil and French Guiana. But before going out to purchase one for a pet, there are important things to know about Oscar Cichlids that you need to consider. Enthusiasts planning to raise Oscar Cichlids should prepare a large tank, spacious enough to accommodate the immediate growth of this kind of fish. Oscars tend to grow an inch after its eight to the tenth month. Expect them to reach about 10-12 inches in their first year. Gravel is the most recommended substrate for the tanks since they are abundant in Oscar's natural environment. However, be sure to make use the rounded kind since these types of fish are inclined to dig, and sharp gravel might harm them. Furthermore, there are observations that these fish do not prefer bright lights. Thus, this should also be considered in preparing their tanks. Hobbyists who are obsessed with decorated tanks should think twice to raise Oscars since they tend to be disastrous pets, often rearranging their aquarium, moving rocks and decors around. These are normal Oscar behaviors. Let them do this for it increases their comfort zone on their surroundings. Feeding can be an exciting experience since Oscars interact whenever they are fed. They show excitement, swimming eagerly around the tank when they know they will be fed. They eat insects and small crustaceans such as crickets, earthworms, mealworms, and shrimps. Owners should also understand that Oscars are temperamental. This is the reason why they are considered to have personalities. They show what they are feeling. At one point they can be happy and cheerful, like during feeding, but then they will be moody, retire in one corner or stop eating for a while. Don't be bothered if this happens. This is only a phase and the Oscars will eventually get back to its original jolly selves in time. Enthusiasts need to be aware that in most cases, Oscars are the non-aggressive type of fish, as compared to another type of cichlids. They show uncommon behavior while inside the tanks but these are oftentimes ritualistic. They can be seen spreading their gills and opening their mouth wide while facing another fish, performing a tug of war. This is actually testing each other's strength or part of a mating ritual. Oscars may also be observed to charge the wall of their aquarium. They might just think that their reflections are another fish trying to get in their territories. Oscars, like most cichlids, are territorial. They need to be accustomed to their tank mates for a while before they given in. That is the reason why in some cases, it is suggested that Oscars should be bred early with another type of fish for the former to be accustomed to it while growing. Breeders should also take note that in most cases, it is hard to distinguish a male from a female Oscars. The only indication of a female Oscar is when it becomes pregnant and begins to be bulkier. They lay their eggs on a surface of a rock and will rearrange their space to provide a suitable spawning area in their tanks. The eggs hatch after three days. Other fish in the tank should be taken out once spawning of the female is observed since they are considered threats by the Oscar mothers. It is advised that owners let their Oscars discover their roles as parents by not removing the eggs and allowing them to figure out what to do. They are generally nourishing and protective parents to their fry, eventually providing good nourishment for the infants. Since Oscar Cichlids, or Oscar Fish, are expected to live up to 15 years, taking care of them is a commitment an owner should accept. These Oscars would require nourishment, attention, and care. Nevertheless, the Oscars are often times referred to as "river or water dogs" because they somehow behave like dogs, shaking their heads or tails whenever they see their owners.